Jackson and Holt. A picture hiển thị Jackson Jekyll / Holt Hyde in their signature poses. 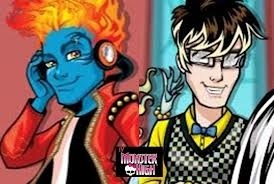 Wallpaper and background images in the Monster High club tagged: holt jackson.